Kaila Hawaiʻi is all about style. So it was only a matter of time before we changed our style for the new season. And our days of webhosting at WordPress have come to their end. Visit Kaila Hawai’i at its brand new design at http://www.kailahawaii.com with an online aStore and more things to come. On the other hand, it effectively demonstrates generations of traditions and values that reach back into time. Such is the responsibility undertaken by the young man featured, Mr. Alan Waukau, a Criminal Justice major from the Menominee tribe in Wisconsin. More specifically, the tag line “Think Indian” makes me think of Apple‘s “Think Different” campaign of the late nineties. It featured iconic figures that broke out of conventions of accepted thought, such as Einstein, Martha Graham, and George Clinton. By changing one word out of two, we still break out from the dullness of the mainstream but uphold native values at the same. After going through Angeleno, I’ve moved onto exploring the Los Angeles Times Magazine website, whose online design and layout I prefer over New York Times’ counterpart. Okay, it does not carry the seriousness of the Gotham mag nor is it published every week. But compared to the New York Times’s periodic style manifesto T, the L.A. Times imprint carries a certain freshness and joie de vivre that I enjoy. (I also find the typography reminscent of French Vogue.) After all, any magazine that features a well-made cocktail every issue is worthy of respect. Take, for instance, September 2009’s The Fashionista, which, despite the fashion reference, looks like one serious drink… woefully beyond my personal bartending capabilities. Staying on the foodie theme, I particularly appreciate Lora Zarubin’s sushi article (fish) (delicious) (November 2009 issue) with its helpful guidelines and great photography. Never have I seen raw fish (above) so closely resemble some kind of stylish accessory (what kind of accessory though, I can’t say). Plus, it’s the first time I’ve seen a guide on how to eat sushi with your hand (left), which, I’ve been told, is how it’s really supposed to be done (at least, for nigiri). Read more of the Los Angeles Times Magazine here. Photography: Victoria Pearson | Illusration: Jameson Simpson for the Los Angeles Times Magazine. Though I’ve never lived in California, I’ve always thought of myself as more of a NorCal than SoCal person. The good wine, slow food, and liberal attitudes of the Bay Area just suits my personality much more. But something’s changing. It might be a passing case of rock fever. But recently I’ve been thinking of Los Angeles. Maybe too many hits of the David Duchovny-loaded Californication have taken their toll on my psyche—and yes, I’m aware he’s a New Yorker at heart that often loathes the City of Angels—but L.A. is moving fast up the list as my next off-island stop. And nothing has added fuel to the fantasy fire like the savvy mag Angeleno. It puts a luxe spin of L.A.’s distinctive brand of easy cool with a touch of edgy sophistication. The March 2010 issue features actress Toni Collette on the cover. But what really caught my attention was the all-black fashion spread “Theory of Devolution” and the architecture feature “Postcards from the Ledge”. Fantastic. 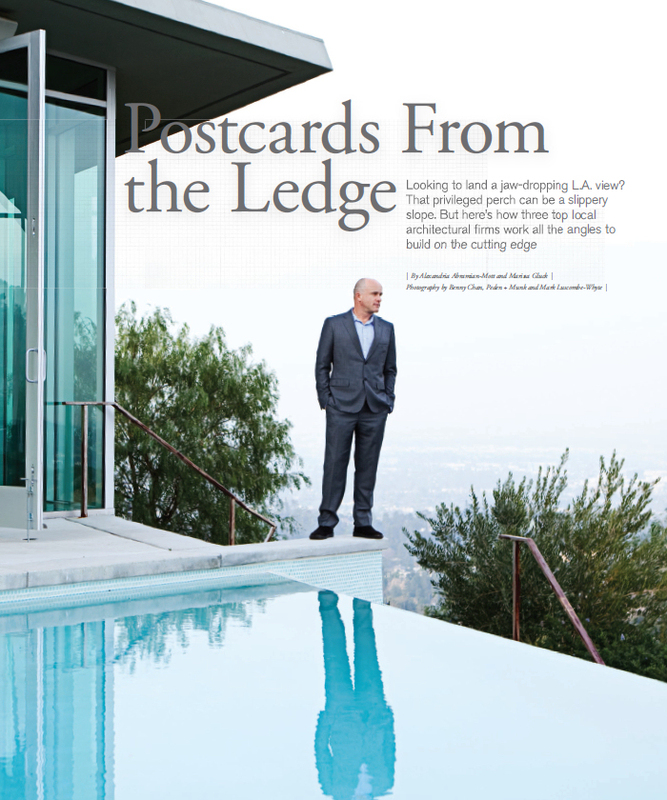 The latest issue of Angeleno is available for free browsing and download at on Modern Luxury’s website. Also don’t miss Modern Luxury’s Los Angeles page. “Kareho Koe”, the new clip from Tikahiri‘s new album Merahi Kerekere, is finally up on YouTube in high resolution. Its dark, gothic atmosphere and slick production make it one of the more original clips out of Tahiti and French Polynesia to date. Like Tikahiri’s video debut “Tapea te paari”, the band maintains its special brand of smoldering and brooding. But on this occasion, a female element appears as a mysterious woman who seems to lure one of the men into her grasp during the darkness of the night. Unfortunately, you need to speak pa’umotu (the language of the Tuamotu Archipelgo) to get the complete meaning of the song, and, alas, no translations have appeared yet. Somehow, I think you can get the song’s jist just by watching. Today’s Hawaiian word of the day is kai a Pele, or tsunami or tidal wave. The inspiration for today’s choice was obviously the events of this past February 27, 2010, following the oceanic surge sent throughout the Pacific Ocean by the Chilean quake. On a side note, I must say that some celebratory champagne from the night before had led me to think of something more sinister concocted by Kim Jong Il when I was awakened far too early by the sirens’ metallic screech at 5:50 in the morning. Hence, I was “relieved” to learn that the crisis at hand was actually natural. Now that the digression is over, back to the ‘ōlelo Hawai‘i. 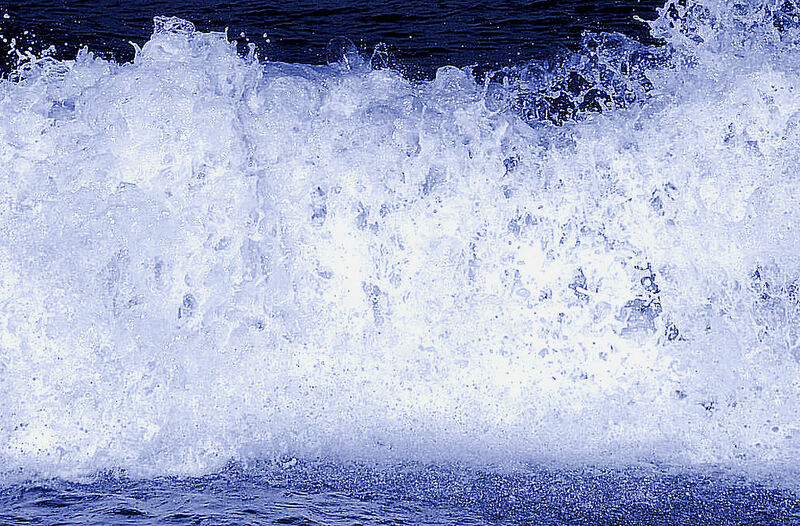 Though the Hawaiian word for wave is nalu, the Hawaiian terms referring to tsunami or tidal waves found in Pukui and Elbert’s Hawaiian Dictionary use instead the word kai, or sea. Besides kai a Pele (literally “sea of Pele”), other terms are kai e‘e (mounting sea) and the variant kai ho‘ē‘e. As a verb, ho‘ē‘e can be to rise or swell. I do recall hearing some Ni‘ihau speakers dropping the word kai and using either e‘e or ho‘ē‘e on its own to refer to the destructive wave. Interestingly enough, the Hawaiian term is closer to the actual nature of the tsunami, a swelling of the sea that surges ashore as opposed to one crashing wave. The receding of the ocean that precedes the tsunami is called kai mimiki. Personally, I prefer kai a Pele because it refers to the wahine kapu (sacred woman) of Kīlauea herself, Pele, and her awesome powers. Not only the creator of new land, Pele also makes the earth tremble in ōla‘i, or earthquakes—the generator of the tsunami. In the lower case, pele refers to lava and eruption. And if my understanding of Hawaiian grammar is right, the possessive a suggests that the destructive sea does not just belong to Pele but is created or generated by the goddess herself. Though the hula kahiko “Aia la ‘o Pele” refers to eruptions, I think it’s meditative inquiry “I hea kāua e la‘i ai, ‘ea?” (Where can we find peace?) is equally appropriate for kai a Pele. Fortunately enough, the Pacific was spared from the kai a Pele this past weekend. Since I was already awake Saturday and suffering from my own ōla‘i (of notably French origin) between my temples, I jumped online to see what was occurring in French Polynesia because of the region’s closer proximity to Chile. The Gambier Islands only recorded 26 cm. The harbor in Pape‘ete, Tahiti only noted marginal rises. The minimal waves Because of their topography, the Marquesas, or Te Fenua Enata, recorded the strongest waves, measuring up to four meters at Ua Pou. On Radio Polynésie, a local resident reported seeing tourbillons, or whirlpools, form in the water. A day later, La Dépêche de Tahiti published the following photos—not exactly kai a Pele but curious enough.